IT departments are struggling to adapt to new economic realities and a rapidly changing technology environment that includes fundamental shifts in mobile, social, and cloud computing technologies. 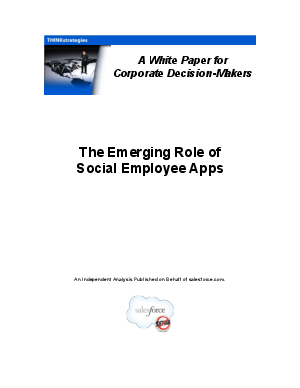 As a result, a new applications layer – the social employee application layer – based on modern social networking websites is being developed. This layer of less-expensive collaborative applications creates agility around core operational systems, allowing a much higher number of business users to access and collaborate around central operations, especially on mobile devices.